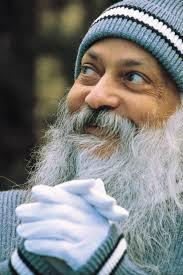 Osho’s meditations almost always include movement and then move into silence, either sitting or laying down. We feature a variety to these active meditations at OMC every week night at 5:30 pm and on Saturday mornings at 8:00 am. The weeknight meditations are a good way to transition from a hectic day to a more peaceful and easeful evening. Saturdays’ dynamic meditation is simply one of the best ways to move energy and release old patterns that no longer serve us, moving into a more quiet and aware space. Osho spoke about his active meditations often. Here is an excerpt from The Psychology Of the Esoteric by Osho, about why active meditations are helpful (critical) for us in this time. Modern man is a very new phenomenon. No traditional method can be used exactly as it exists because modern man never existed before. So, in a way, all traditional methods have become irrelevant. For example, the body has changed so much. It is so drugged that no traditional method can be helpful. The whole atmosphere is artificial now: the air, the water, society, living conditions. Nothing is natural. You are born in artificiality; you develop in it. So traditional methods will prove harmful today. They will have to be changed according to the modern situation. Another thing: the quality of the mind has basically changed. In Patanjali’s [the most famous commentator on Yoga] days, the center of the human personality was not the brain; it was the heart. Before that, it was not even the heart. It was still lower, near the navel. The center has gone even further from the navel. Now, the center is the brain. That is why teachings like those of Krishnamurti have appeal. No method is needed, no technique is needed – only understanding. But if it is just a verbal understanding, just intellectual, nothing changes, nothing is transformed. It again becomes an accumulation of knowledge. I use chaotic methods rather than systematic ones because a chaotic method is very helpful in pushing the center down from the brain. The center cannot be pushed down thr,ough any systematic method because systemization is brainwork. Through a systematic method, the brain will be strengthened; more energy will be added to it. Through chaotic methods the brain is nullified. It has nothing to do. The method is so chaotic that the center is automatically pushed from the brain to the heart. If you do my method of Dynamic Meditation vigorously, unsystematically, chaotically, your center moves to the heart. Then there is a catharsis. A catharsis is needed because your heart is so suppressed, due to your brain. Your brain has taken over so much of your being that it dominates you. There is no place for the heart, so the longings of the heart are suppressed. You have never laughed heartily, never lived heartily, never done anything heartily. The brain always comes in to systematize, to make things mathematical, and the heart is suppressed. So firstly, a chaotic method is needed to push the center of consciousness from the brain toward the heart. Then catharsis is needed to unburden the heart, to throw off suppressions, to make the heart open. If the heart becomes light and unburdened, then the center of consciousness is pushed still lower; it comes to the navel. The navel is the source of vitality, the seed source from which everything else comes: the body and the mind and everything. I use this chaotic method very considerately. Systematic methodology will not help now, because the brain will use it as its own instrument. Nor can just the chanting of bhajans help now, because the heart is so burdened that it cannot flower into real chanting. Consciousness must be pushed down to the source, to the roots. Only then is there the possibility of transformation. So I use chaotic methods to push the consciousness downward from the brain. If you ask a Zen monk, “From where do you think?” he puts his hands on his belly. When Westerners came into contact with Japanese monks for the first time they could not understand. “What nonsense! How can you think from your belly? The ultimate cannot be known through the brain, because when you are functioning through the brain you are in conflict with the roots from which you have come. Your whole problem is that you have moved away from the navel. You have come from the navel and you will die through it. One has to come back to the roots. But coming back is difficult, arduous. But we are in an altogether different situation now. The whole atmosphere, the whole thought-sphere, has changed. Every method is organic to a particular situation, to a particular mind, to a particular man. The fact that the old methods don’t work doesn’t mean that no method is useful. It only means that the methods themselves must change. As I see the situation, modern man has changed so much that he needs new methods, new techniques.